If you’re fascinated by TV courtroom dramas and closely follow sensational court cases, then a career as a paralegal may be for you. 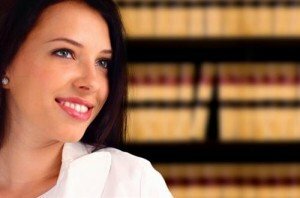 Paralegals can specialize in areas like personal injury, litigation, health care, corporate law, bankruptcy, criminal law, immigration and real estate. Many organizations employ paralegals, such as corporations, law firms, government agencies, public defenders, non-profits and real estate businesses. Paralegals can also be self-employed, working on a freelance basis. You can find out more about being a paralegal at the National Association of Legal Assistants (NALA) website. A.A. degree in Paralegal Studies. This degree can be finished in two years. Another option is any B.A. degree with appropriate law office training. Certification. There is no requirement to being certified, but having one will enhance your resume. On the job experience. Working with a law firm or a legal department in another organization will give you valuable experience in your field. A paralegal must be able to multitask and have good communication skills. Expertise in computer and software products is essential for doing research and managing documents and records. Sound intriguing? Follow the steps below to realize your dream of being a paralegal. Get your college degree. You’ll need at least a two-year Associate degree. Many community colleges offer AA. programs in Paralegal Studies. The American Bar Association (ABA) publishes a list of approved paralegal education programs by state. Getting your degree from an ABA-approved program is not essential to work as a paralegal, but it may give you an edge with an employer. Consider online learning. Going to college online is flexible and cost-effective, as you can continue to earn while you learn and you’ll save money on commuting costs. Get the right experience. Many employers look for legal experience even if you have your degree. Look for any type of work in a law firm or an organization’s law department. Consider paid and unpaid internships and even volunteer work. Try doing some freelance paralegal work while looking for a job. Earn a professional certificate. Although certification is voluntary, employers view it as a plus when evaluating paralegal candidates. You’ll deepen your knowledge and grow in your chosen field. There are many organizations that offer certification online, in as little as 14 weeks. NALA has a lot of information on paralegal certification. Search for jobs. Design your resume to highlight any experience with attorneys, even on a volunteer basis. Explore the many websites specializing in hiring paralegals. Send your resume to local law firms and other organizations with law departments. Network. Many paralegal jobs aren’t posted. Use your network of peers, professors, friends and family to spread the word about your job search. Make sure they know the basics about your education and law experience. Continue your education. If you have an A.A. degree, consider becoming more marketable by earning a B.A. or even a master’s degree in Paralegal Studies or majors like Law and Criminal Justice. Stay current by taking continuing education live or online courses and seminars with organizations like NALA. You can find more information on becoming a paralegal at the ABA website.